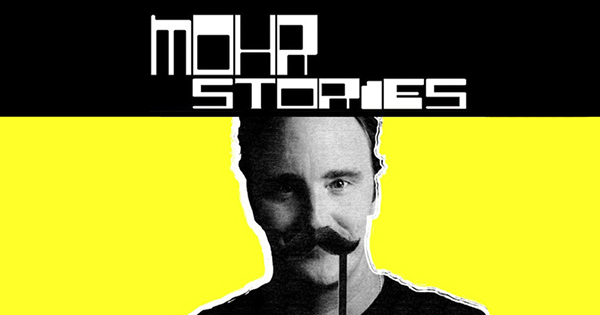 Comedian/writer/actor Jay Mohr interviews people and cracks wise. The paywall is kind of intense with this one. The iTunes archive has the most recent eight episodes. To get behind that paywall and get at the whole archive, check out the official site. Episodes run on hour and change typically and a new one usually comes out every week. Mohr is a real live wire, somewhat less of one than he used to be, but, hey, same here, I reckon. In the archives is a wealth of great material. When Mohr is locked in, he’s a lot of fun and I really dig his comedic tone. I can see how it might annoy some people; if you’re looking for a show where the host really fades into the background in order to deeply focus on his guests, this is not the show for you. But if you want to laugh a lot, it’s a really good interview show and Mohr, even when he’s doing what is probably schtick, never feels insincere. You never really doubt that he’s having a good time and that’s infectious. And some of his impressions are uncanny. You actually already knew who Jay Mohr is. Sometimes Terry Gross is just a bit too high energy for you. With a free archive this small, you can decide for yourself.